We’d go to our graves defending low-maintenance, quick-cooking, always-flavorful chicken thighs as the best part of the bird. 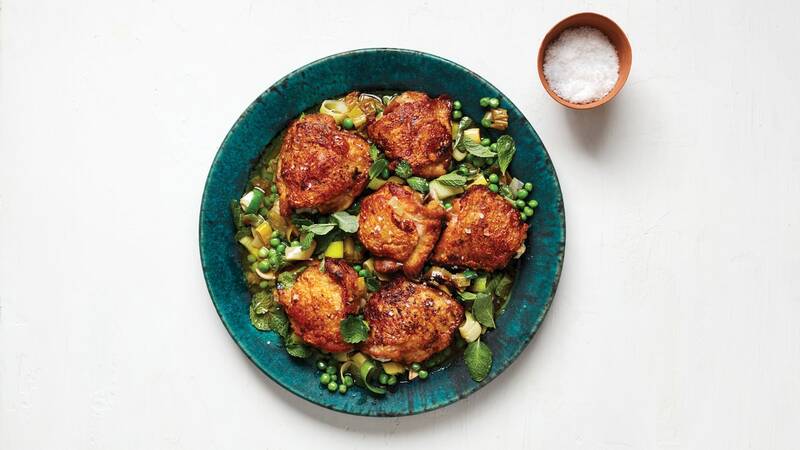 This recipe harnesses their power by using the fat that renders when they’re seared on the stove to soften thick rounds of leeks and spring peas for a built-in side. Leave the chicken uncovered when it goes into the oven so the skin crisps up while cooking.